With our 100% cloud-based order management system, there's no need to juggle invoice sheets or clipboards full of open orders. 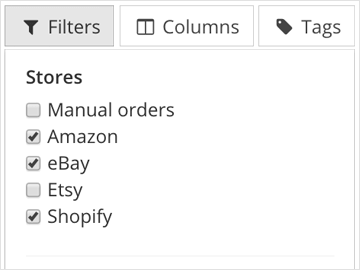 Just open the order you want to work with, search by customer or product, or sort through all your open orders from all your sales channels at once. Get a bird's-eye view of what needs to be shipped with our simple item summaries. Select a group of orders and get an itemized list of what items need to be fulfilled for them. 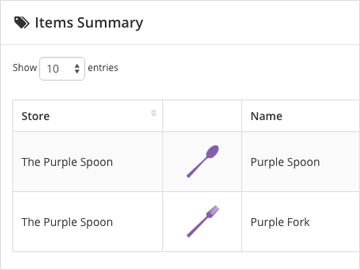 Use item summaries to create pick lists or to double-check your stock or purchasing needs for the day. 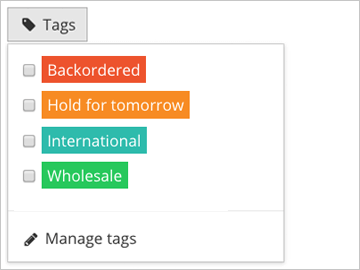 Create custom internal tags, like "Out of stock" or "Hold for tomorrow", to keep track of your orders. Color-code your tags to help tell them apart at a glance. See which step each order is going through in your fulfillment process with order status updates and history. 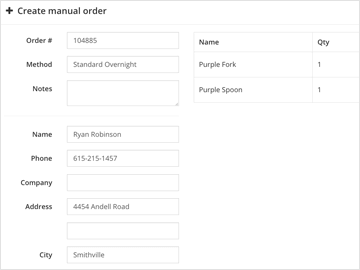 Take phone orders and offline orders quickly and easily. Skip the hoop-jumping to create an order in one of your sales channels; just fill in the customer information, add the items requested, and save the order. Once the order is saved, your team can pick and ship the order with ease.